Startup creators will have the opportunity to mingle with investors and entrepreneurs, pitching their idea with the hopes of catching the eye of a potential backer. 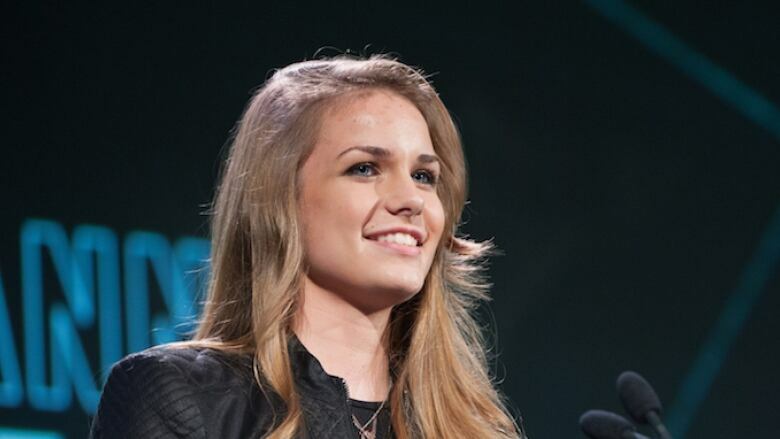 Lilianna Zyszkowski is one of many speakers kicking off Startupfest. Now in its sixth year, Startupfest is a smorgasbord of pitching competitions, keynote speakers, and networking. Over four days starting Thursday, startup creators will have the opportunity to mingle with investors and entrepreneurs, pitching their ideas in hopes of catching the eye of a potential backer or winning one of the festival's many cash prizes. Lilianna Zyszkowski, a 15-year-old inventor, will share her story with attendees Thursday. She invented the PillMinder, a smart pillbox that tracks doses and alerts users to possible mistakes, when she was 11. "I don't have a special gift to help me realize or recognize an idea that can actually go somewhere," Zyszkowski told CBC Montreal's Daybreak. "I'm just really persistent, something that I think a lot of people at Startupfest share and I'm going to be talking about how a fresh perspective combined with technology that's constantly changing can create products ... that can change industries and solve old problems." She plans to speak about her own experiences and hopes to inspire other inventors to keep pushing forward. "This sounds kind of cheesy but don't give up on whatever idea that you have," she said. Startupfest founder Phil Telio said a good dose of "hustle" can help startup hopefuls stand out. "We do prize competitions," Telio said. "You have to pitch to a panel of judges and hope to wow them enough to get $200,000. We expect people to be bringing their 'A' game for that." For the first time, Startupfest will also hold several smaller festivals, including special events for hackers, angel investors, and startup owners past their initial round of seed funding who are ready to grow their businesses. 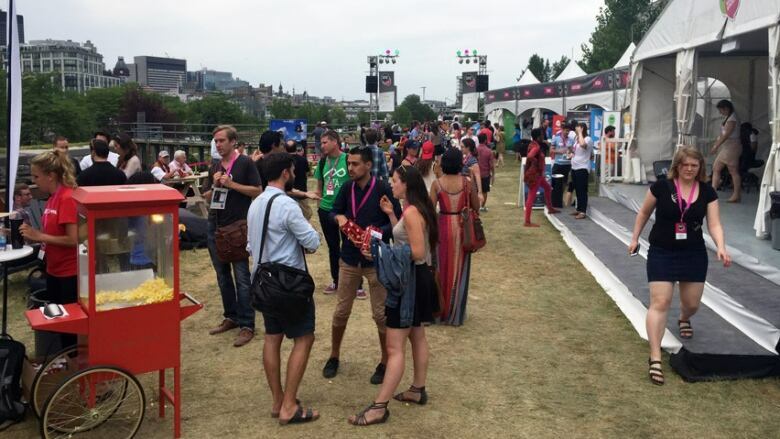 This year's Startupfest runs from July 13 to 16 in Montreal's Old Port. For the third year running, CBC Montreal will be setting up shop at the CBC Media Pitch Tent, giving innovators 60 seconds to pitch their idea to a panel of CBC journalists. The CBC team will offer feedback and advice to pitchers, and the best idea it hears will be featured on CBC Montreal.